Well, it’s been a hectic few weeks with the marathon, the Vancouver Writers Festival, trips to see John Cleese and Craig Ferguson plus lots of day job work all crammed into a 3 week period. 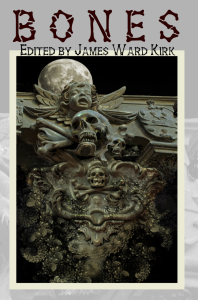 That’s the excuse I’m going to use for not realising that a) The Bones Anthology from James Ward Kirk Fiction was release and b) My story, The Bone Boy, won an Editors Choice award. I was very happy with The Bone Boy so it’s great to see it in print. You can pick up a copy of both the ebook and the print version from Amazon and at the moment the ebook is free. Not sure how long that will last.